THE designated chairman of a company involved in last year's dramatic penny stock crash has called off a move to buy a large tranche of stock in the firm. 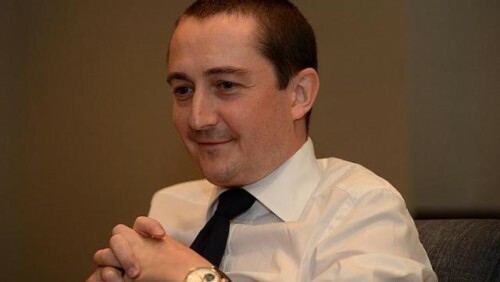 Blumont Group chairman-designate Alexander Molyneux has decided not to proceed with the proposed purchase of 135 million company shares, according to a filing with the Singapore Exchange yesterday. Mr Molyneux told the company of his decision on Monday, Blumont said in the statement yesterday. No explanation was given for the change of heart. "Mr Molyneux remains as a consultant and key adviser to the board of directors of the company," said Blumont, a mining company. "The nominating committee will consider the latest developments and seek to meet up with Mr Molyneux to make a decision regarding his position as chairman-designate as soon as possible." The shares of Singapore-listed Blumont, Asiasons Capital and LionGold Corp rocketed to record levels last year before going into a tailspin, an event market watchers are still struggling to explain. Their stock rose between 40 and 160 per cent in August and September but then plunged between 91 and 96 per cent over a few days in October, knocking off more than $8 billion in market value combined. In early October, when the stock was still very volatile, Mr Molyneux said he would buy the 135 million Blumont shares - 40 million from an unnamed individual investor and 95 million from Blumont executive chairman Neo Kim Hock. The deals would have taken the stake of Mr Molyneux - who has years of experience in resources and mining companies - to over 5 per cent. The acquisition was supposed to have been completed last year but was delayed until finally being called off this week. Blumont said last week that its wholly owned unit G1 Investments has been asked to help the Commercial Affairs Department (CAD) in its investigation of suspected trading irregularities connected with last year's crash. The CAD has asked for access to all corporate electronic data dating back to Jan 1, 2011, information technology equipment and data storage devices belonging to Mr Neo and executive director James Hong Gee Ho.